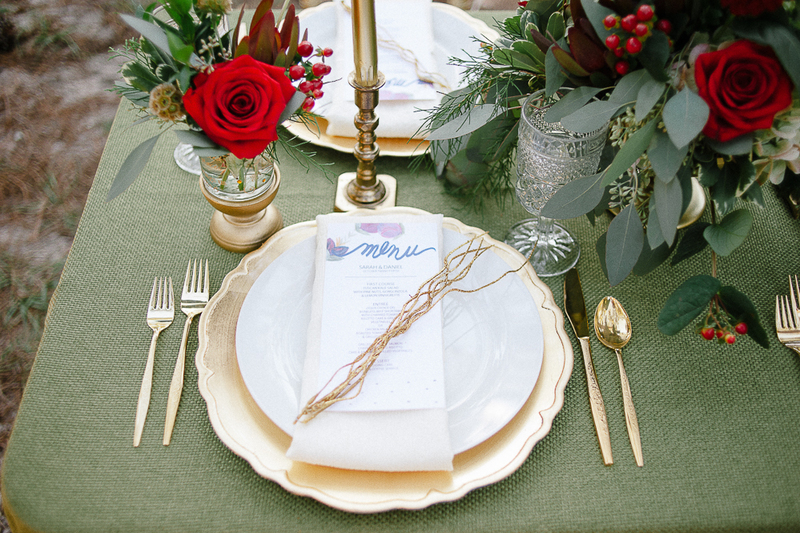 I’m so thrilled that our inspiration shoot was just featured on Every Last Detail! 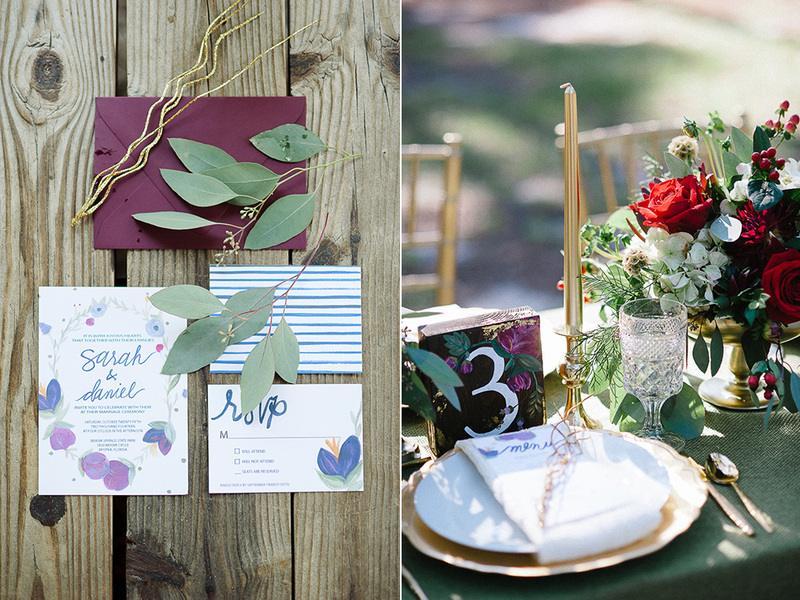 When Stephanie and I got together to plan this styled shoot, we were both feeling inspired by deeper jewel tones. 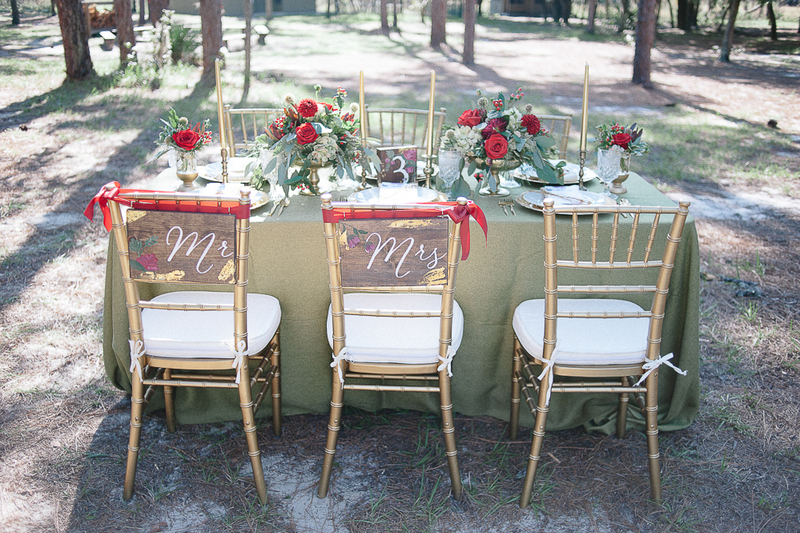 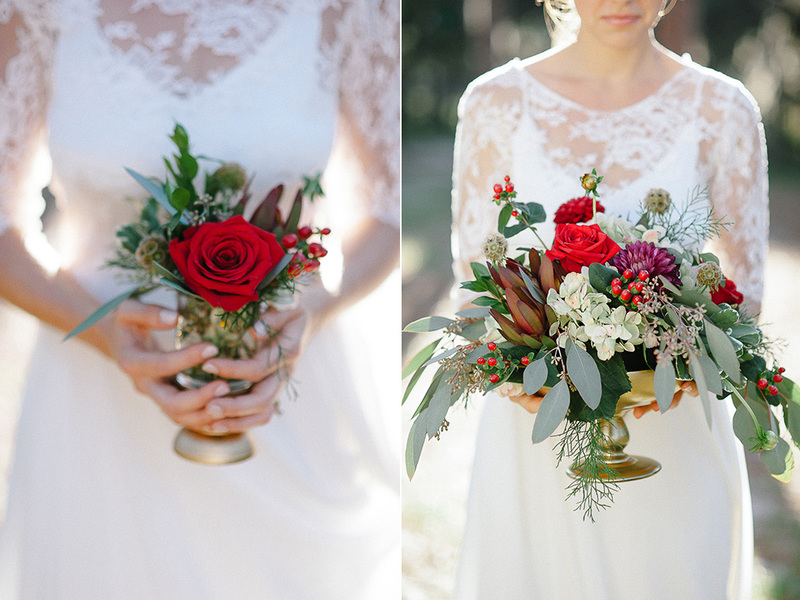 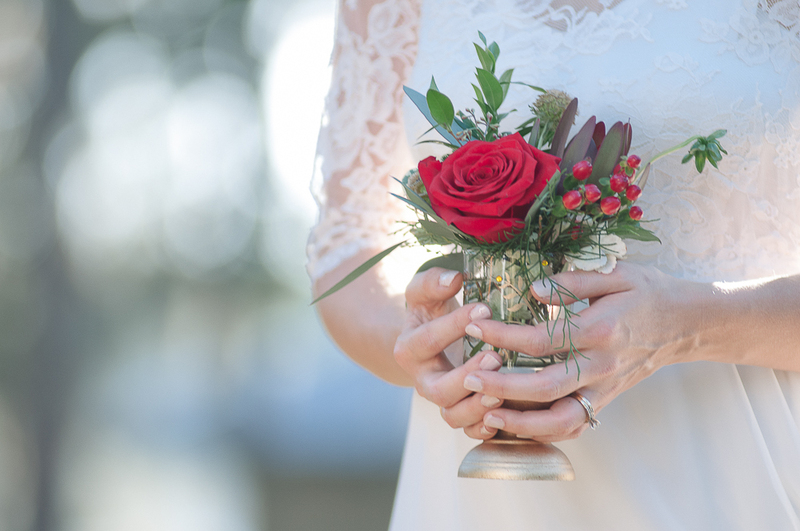 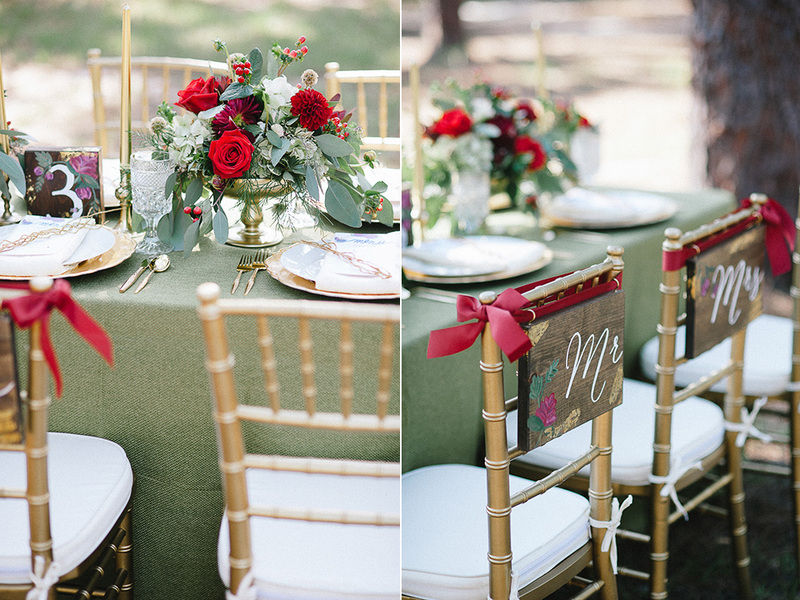 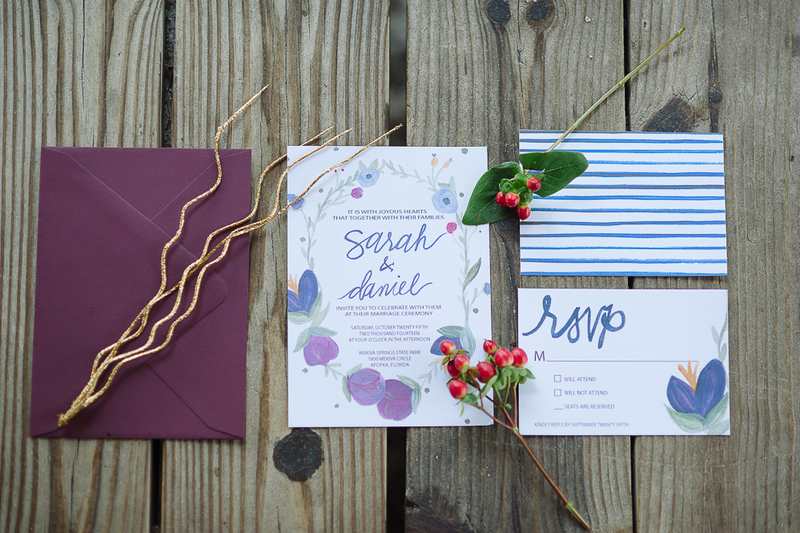 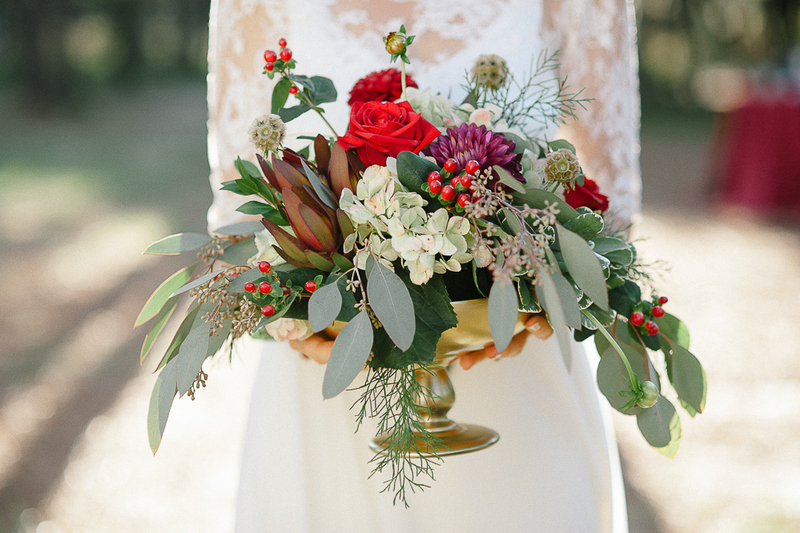 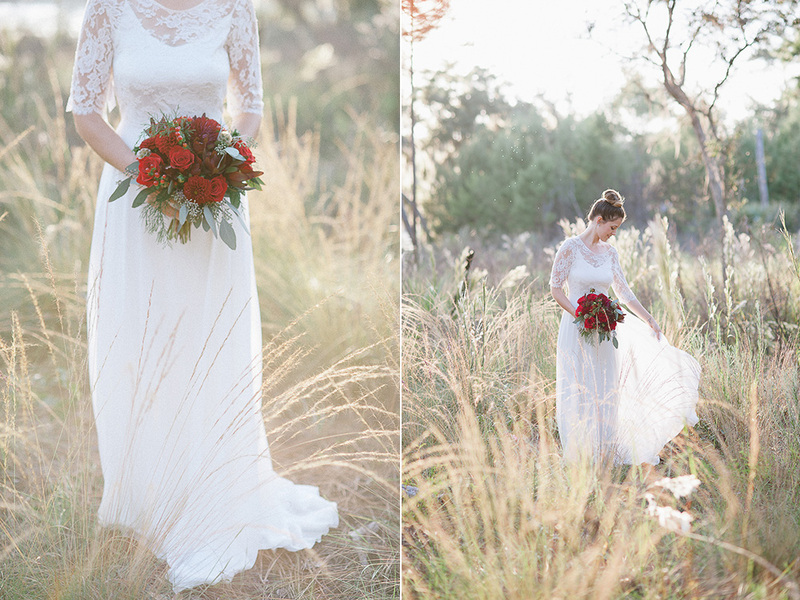 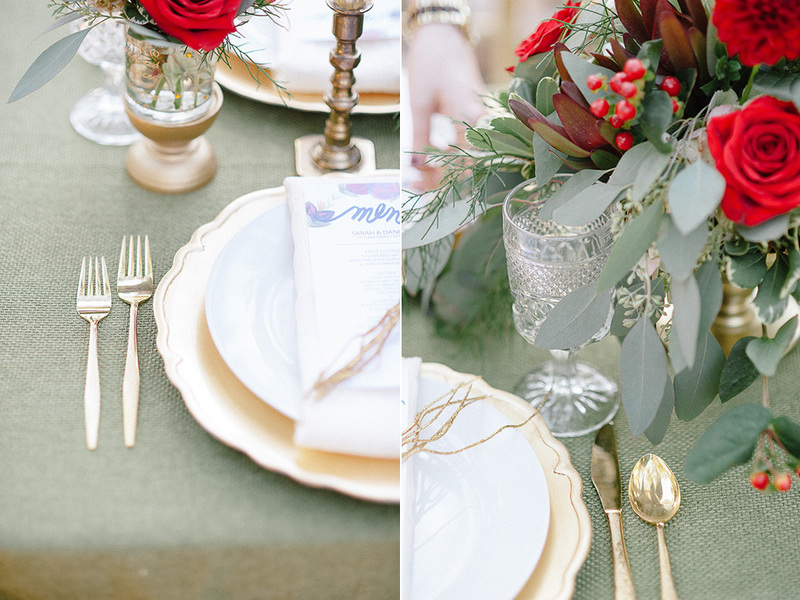 We loved the combo of deep reds, greens, golds, and purples. 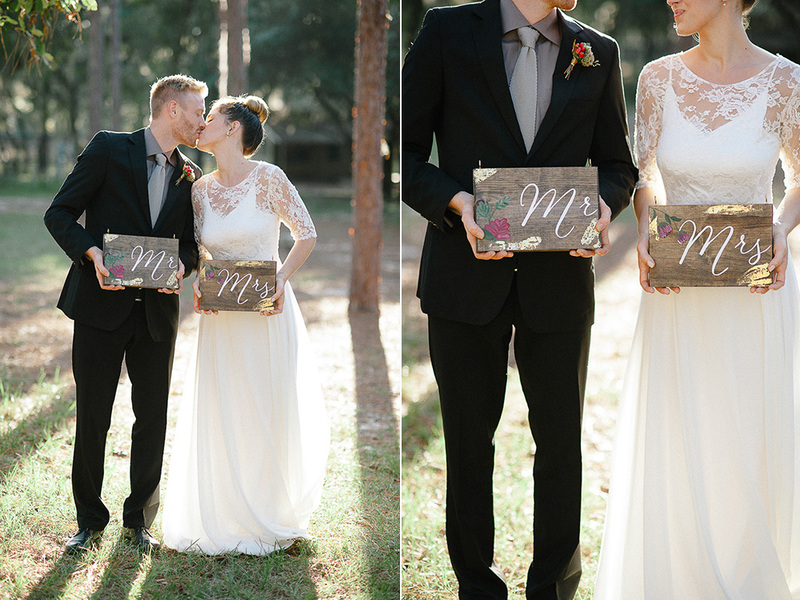 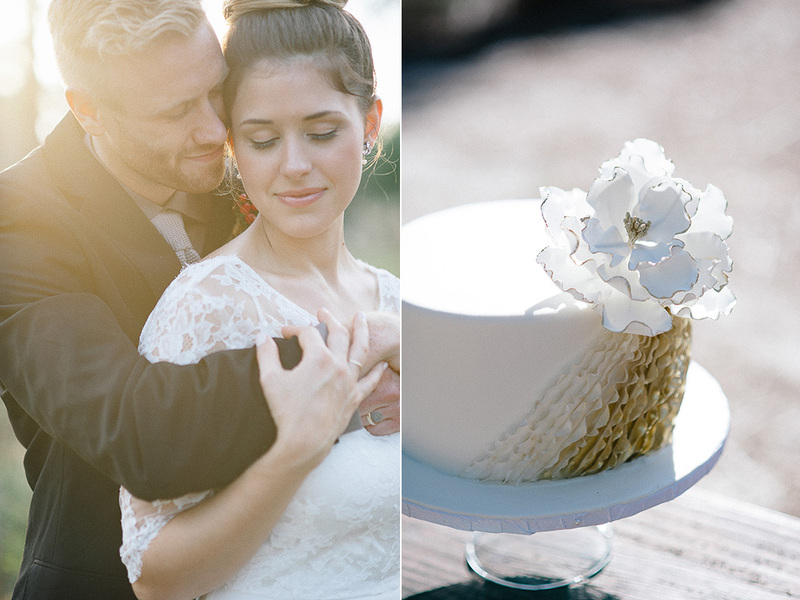 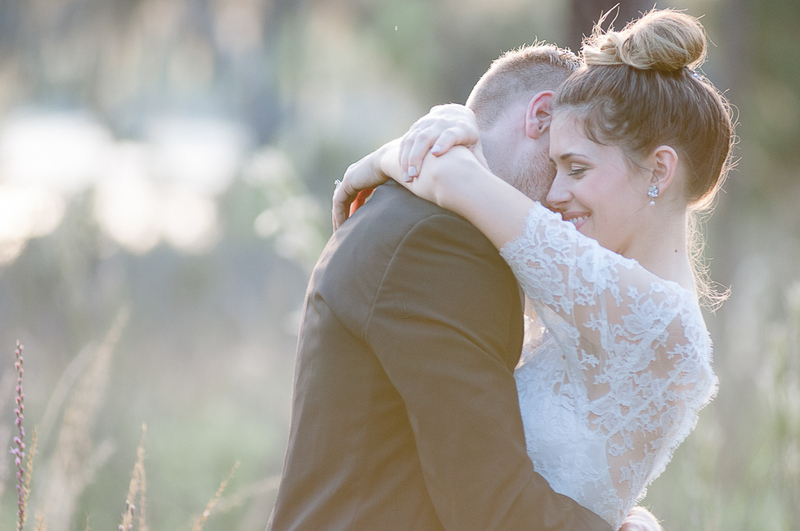 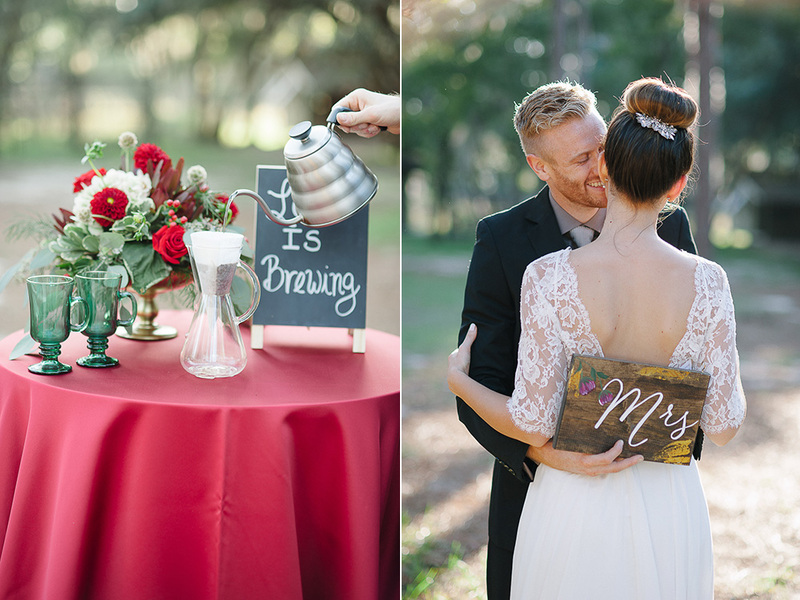 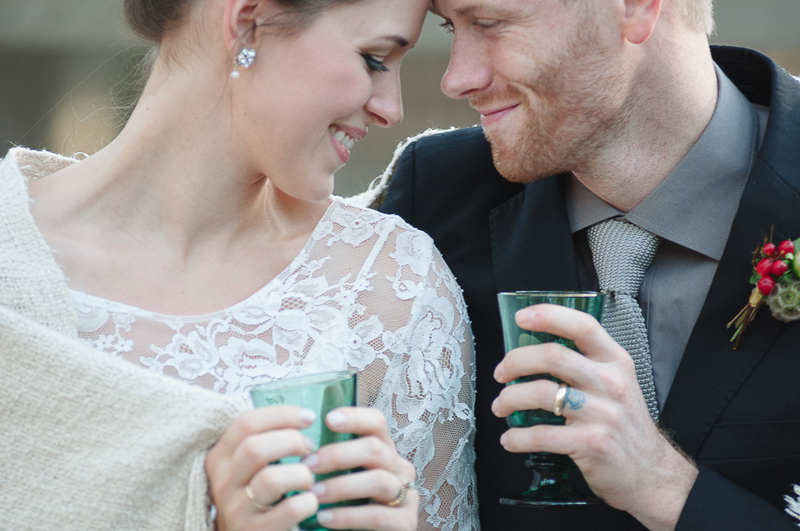 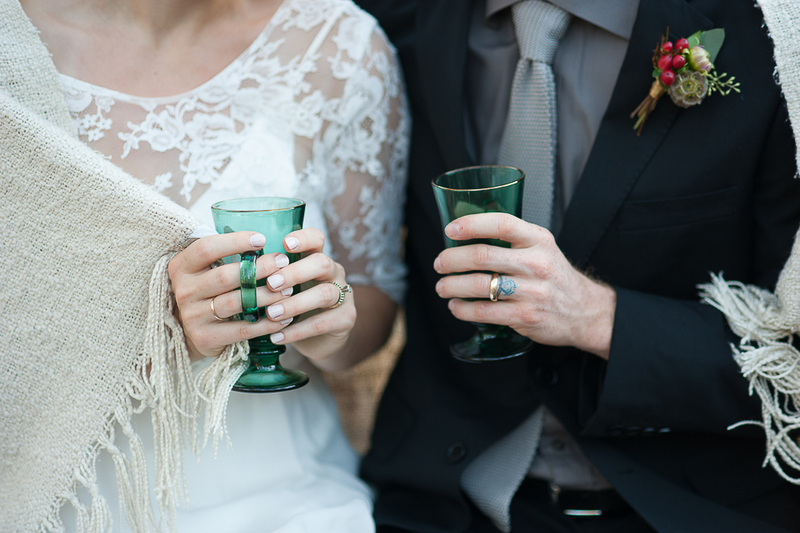 I think the vendors came together to create a gorgeous inspiration shoot! 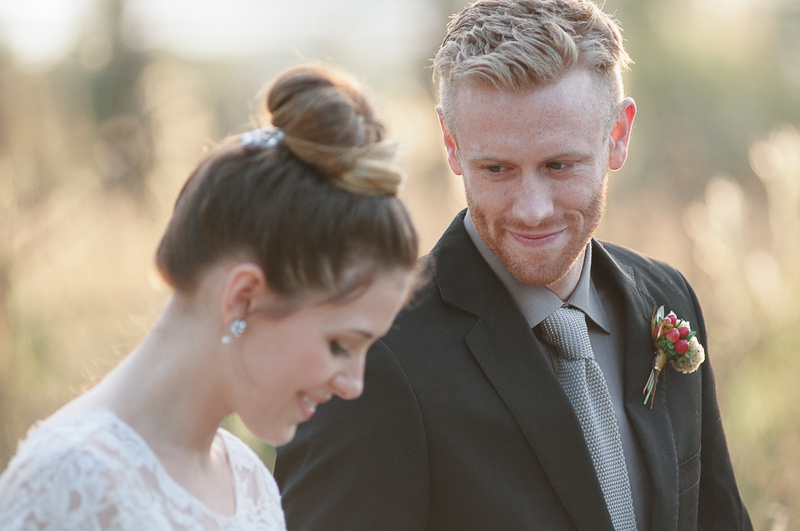 Our models, Justine and Jarrett, made the whole shoot come together perfectly with their adorable chemistry. 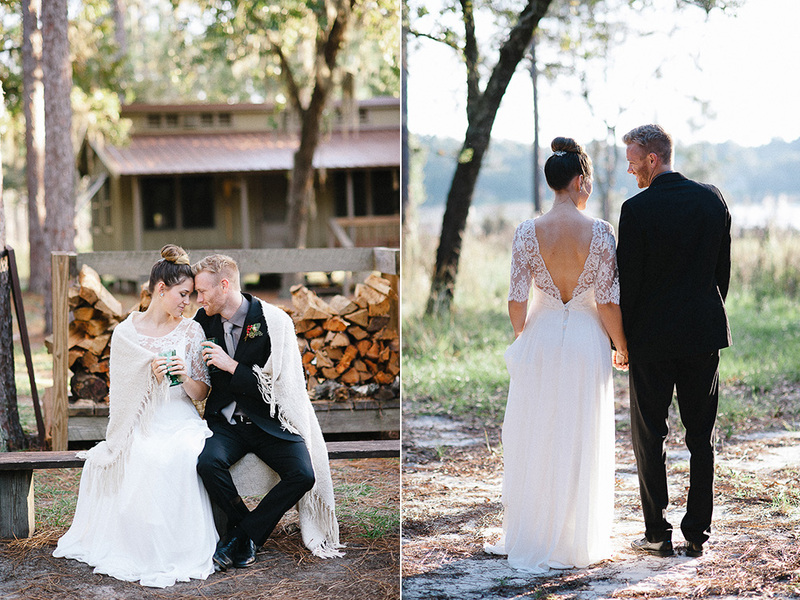 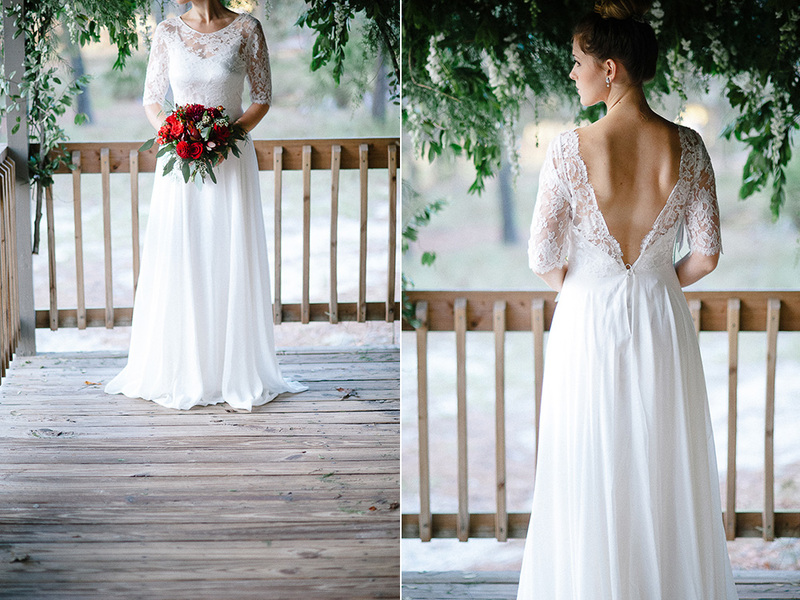 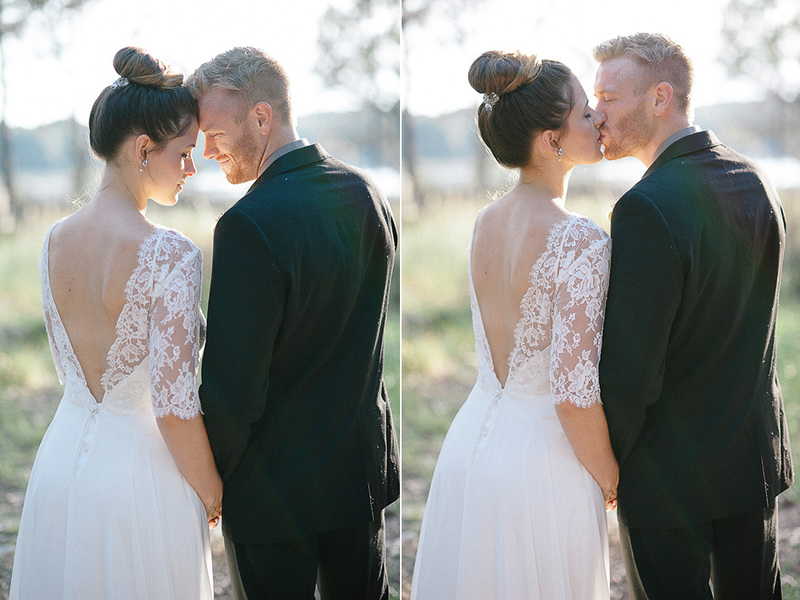 Justine looked absolutely stunning in her Sarah Seven gown (how amazing is that back??). 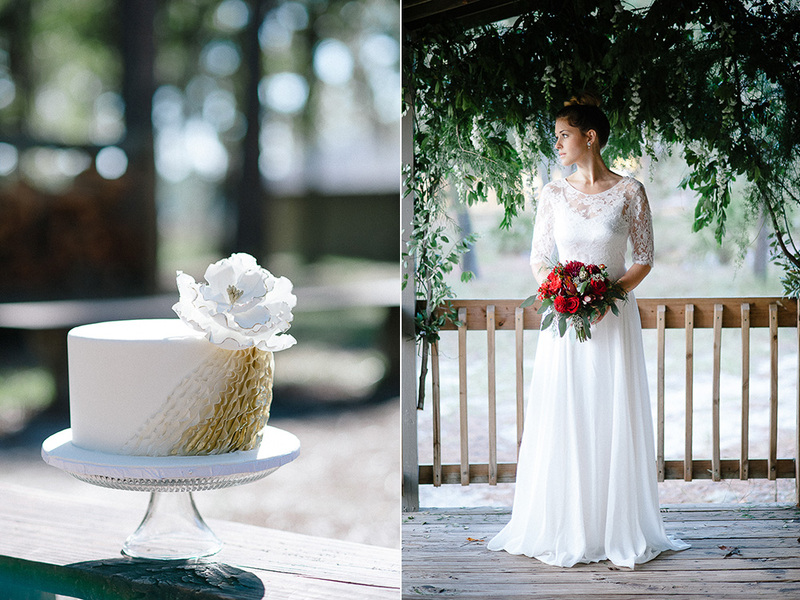 Alexandra at Calvet Couture was so accommodating in helping us pick out the perfect dress for the shoot and for Justine. 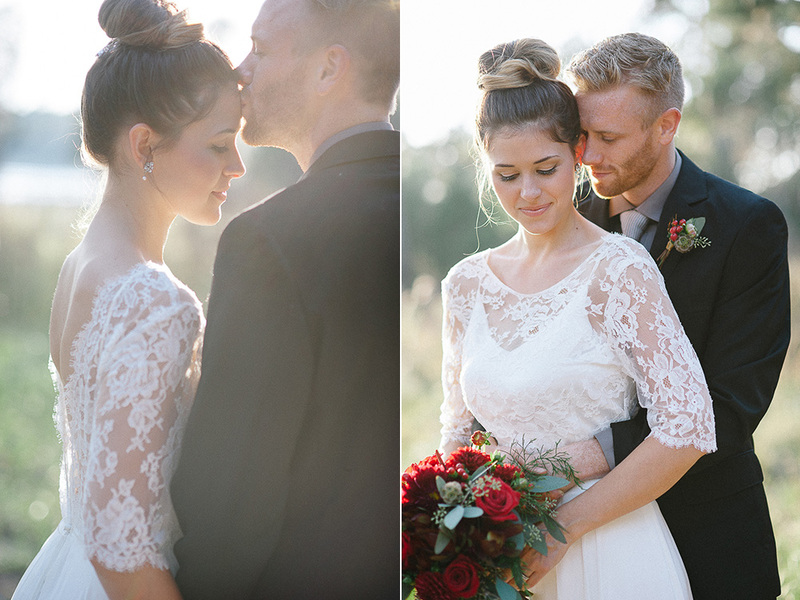 We kept Justine’s look classic with a loose high bun. 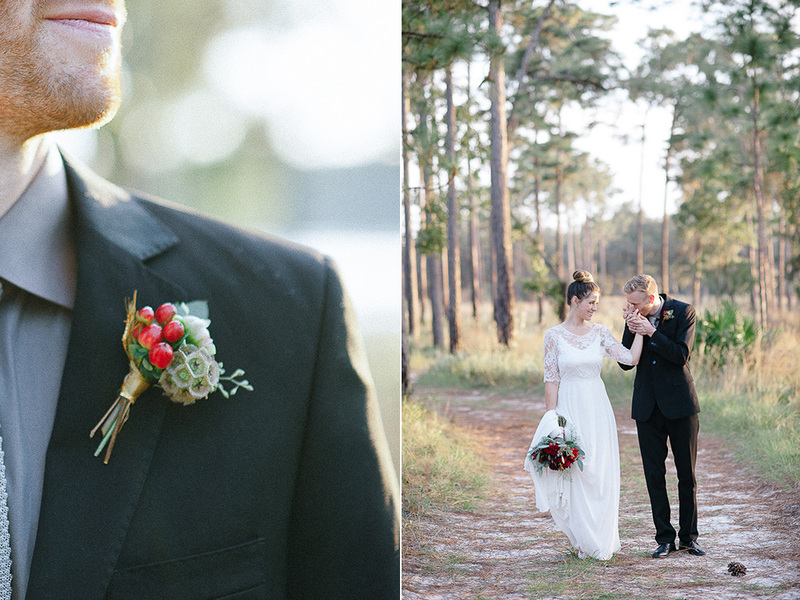 Hi-Leen nailed the look we were going for! 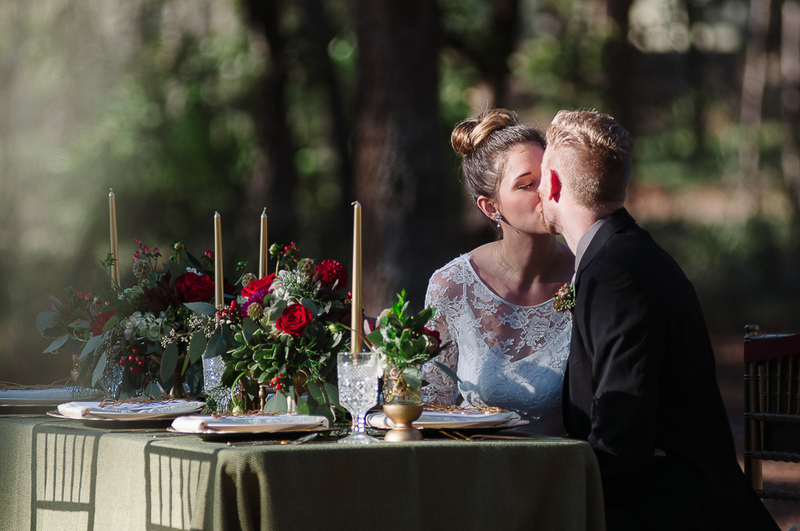 We had the shoot at Wekiva State Park in central Florida. 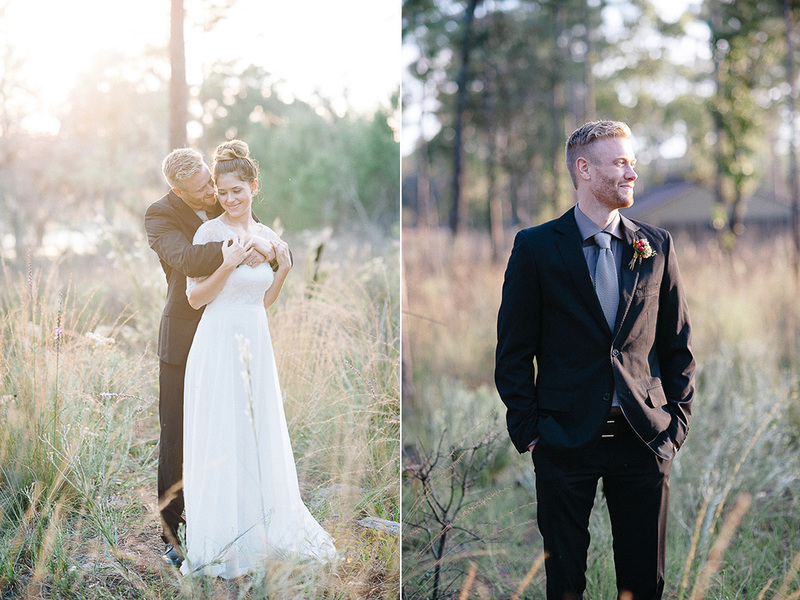 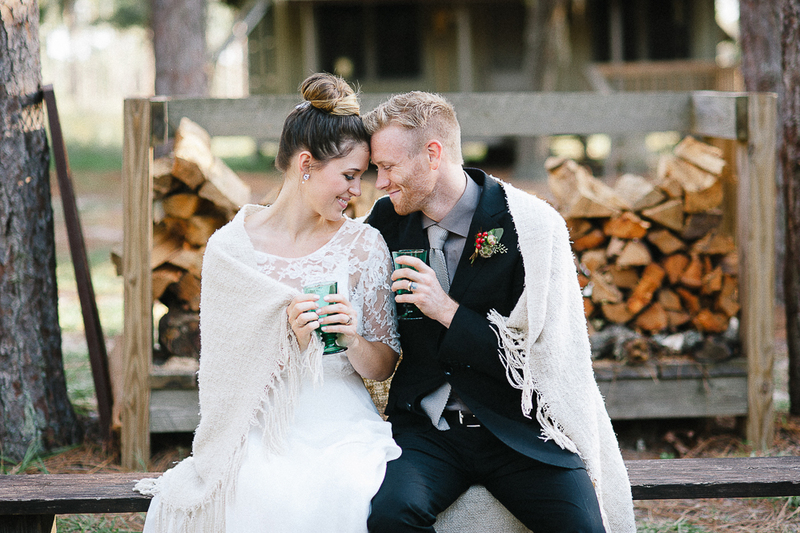 We chose this location because of the gorgeous natural setting. 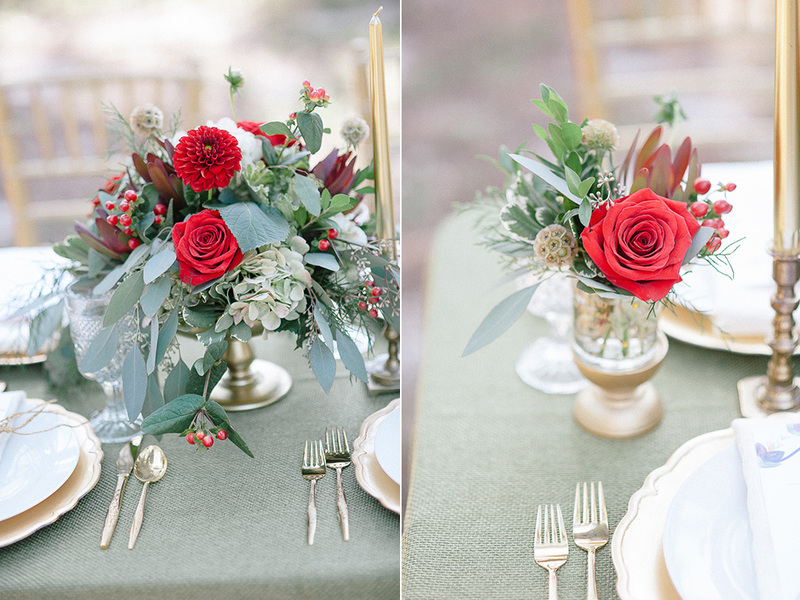 We thought it would compliment the classic look we were going for. 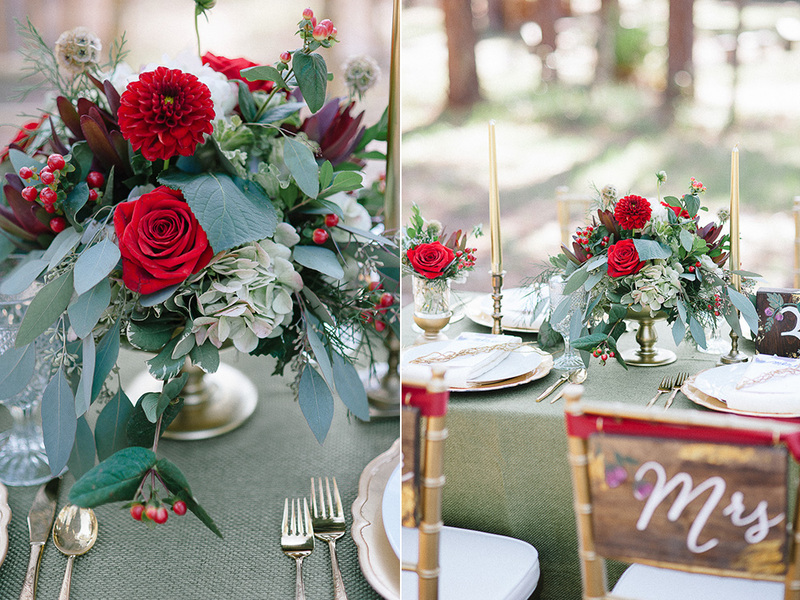 Shelly and Kathy from Country Club Flowers put together the most beautiful arrangements and ceremony backdrop. 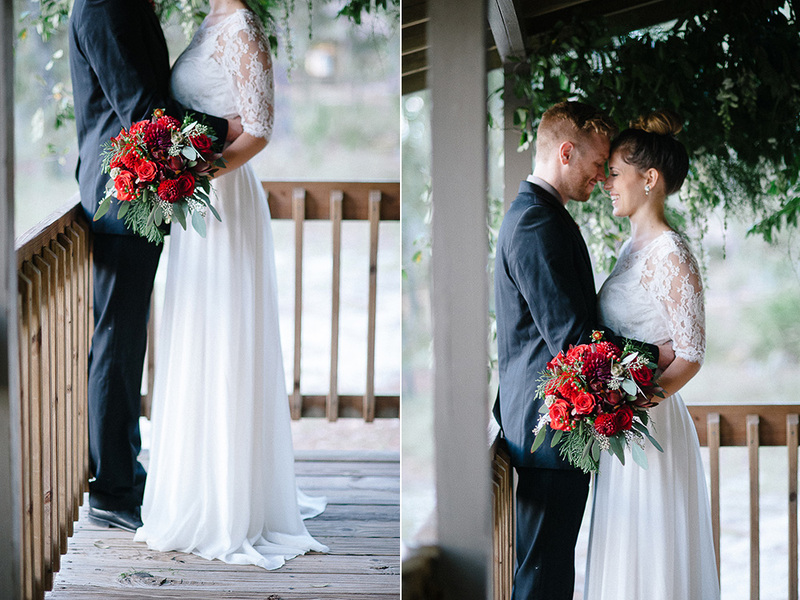 I just loved how romantic the wisteria looked hanging behind the bride and groom. 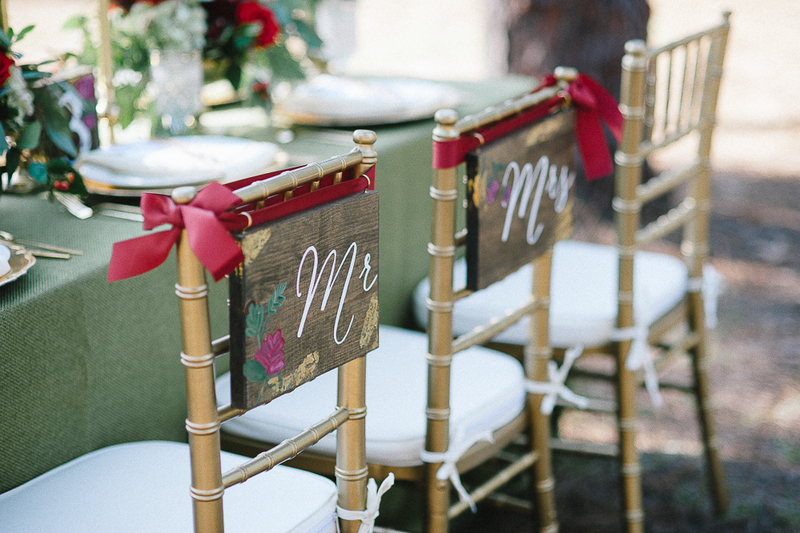 Emily Grace Designs made the gorgeous hand-painted stationary and Bride and Groom signs that were the perfect touch to the table scape. 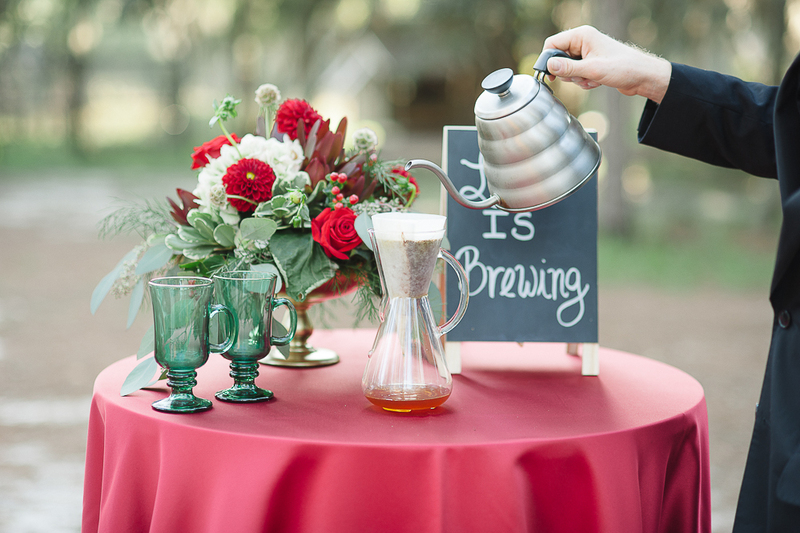 Jarrett is the owner of Lineage Coffee Roasting, so I wanted to incorporate their delicious coffee. 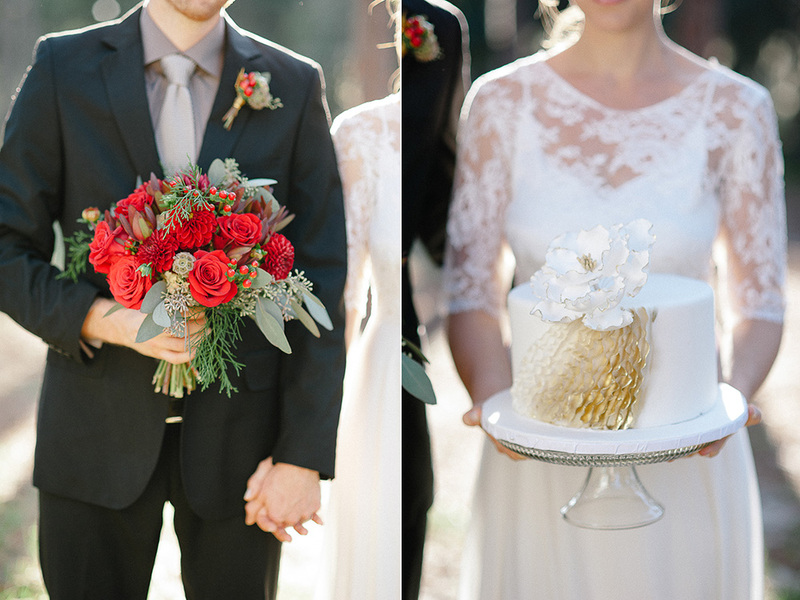 The gold in the cake from the Sugar Suite was the perfect touch. 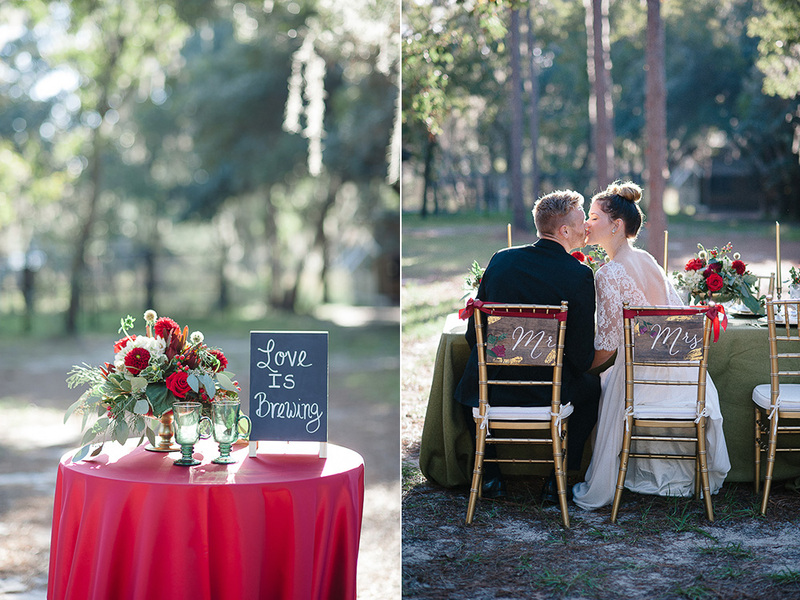 And special thanks to Orlando Wedding and Party and Over the Top Linen for providing the rentals and linen that made it all possible! 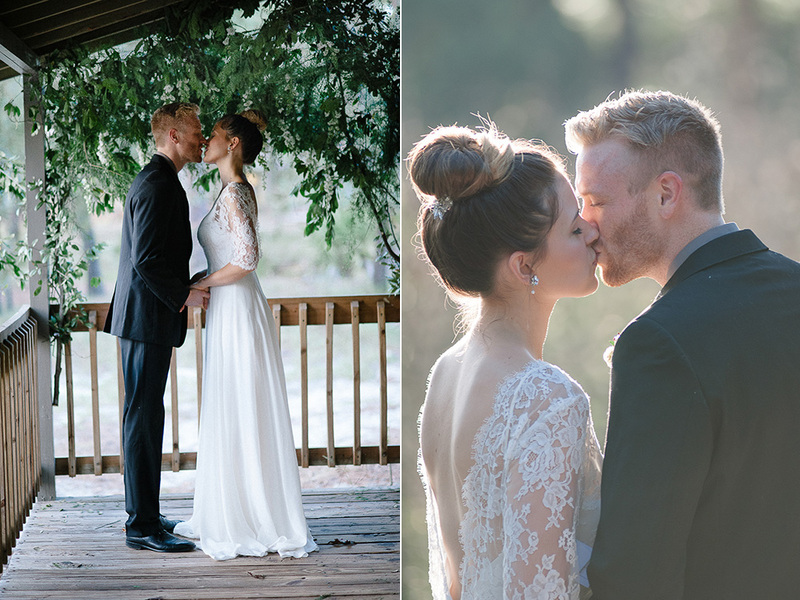 It was so fun putting this together with these phenomenal wedding professionals!